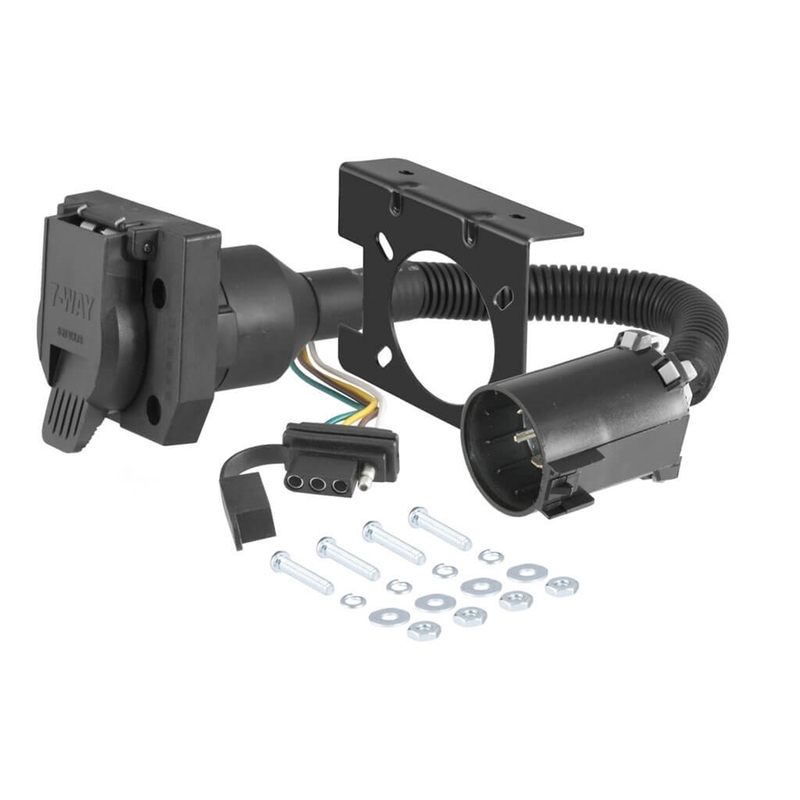 The Curt 55774 T-Connector Wiring Harness is a simple, plug-and-play electrical device that eliminates the need for cutting, splicing and soldering when installing vehicle-to-trailer wiring. This wiring harness has two connector sockets for a multipurpose option. It plugs into an OEM connector and offers a 4-way flat and a 7-way round connectors. *Note: Please see Technical Tab for complete list of compatibility vehicles.